Apple may have only released iOS 12 to the public this past September, but the company is already hard at work getting iOS 13 ready ahead of an expected debut during WWDC in June this year. That’s to be expected, but now the folks at MacRumors have spotted some iOS 13 entries in their web traffic analytics, showing that devices running early versions of the software release have been visiting the site since as early as October. As the site notes, traffic from such devices slowed during the holiday season, likely because those working on the update were away from work with their test devices safely locked away. We’d expect the traffic to start ramping up again round about now, as Apple works to get iOS 13 into a state where it can be handed over to app developers during WWDC. Major iOS updates normally arrive in an initial beta 1 form during WWDC in order to allow developers time to get their apps ready for a public release in September. We don’t know a great deal about what iOS 13 will bring to the table, but rumors have the update focusing heavily on iPad changes, perhaps to make better use of the power that the 2018 iPad Pro has on tap. 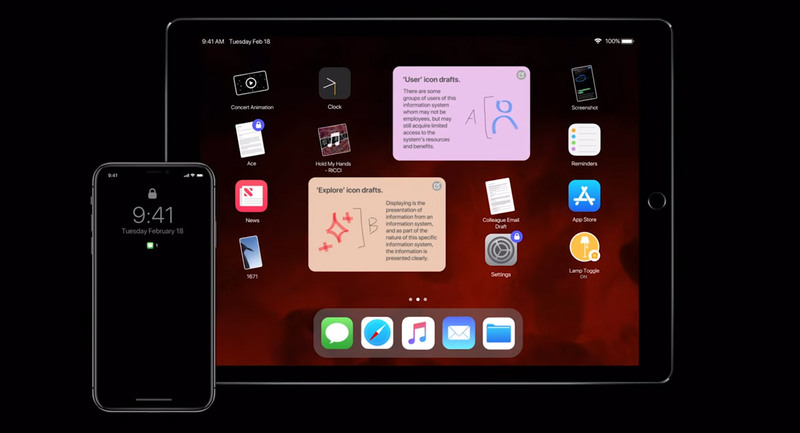 A revamped Files app as well as changes to windowing and multitasking are rumored, and we expect there to be more details leak as we get closer to WWDC. Everyone has their own list of wishes for what they would like to see in iOS 13, but anything that helps turn the iPad Pro into a better notebook replacement has to be at the top of most lists, including support for external storage via that USB-C port.